Mobile World Congress (MWC) is the largest conference dedicated to the enormous mobile ecosystem, and is, by far, the largest conference hosted in the beautiful city of Barcelona, Spain each year. The conference in February 2016 drew about 100,000 people from around the world. Israel was both well very well and very poorly represented. Israel’s Ministry of Economy and Industry had a section of Hall 5 with 65 companies presenting, including Audiocodes and Alvarion. In Hall 2, the Israel Marketing Association had meeting spaces for over 20 companies including Kaltura and Radware. Other Israeli companies had large stand-alone booths in various halls including Allot Communication and Amdocs. And there was yet additional Israeli representation that was only observable to the observant, where Israeli technologies (as opposed to the companies) were featured within large non-Israeli companies that had acquired Israeli firms, such as Red Bend Software within Harman. The various Israeli companies attested to the enormous technology leadership that the small country had at the show. Thousands of people came to the Israeli booths to meet with their existing business partners and to learn about emerging technologies such as those from StoreDot and Insert. 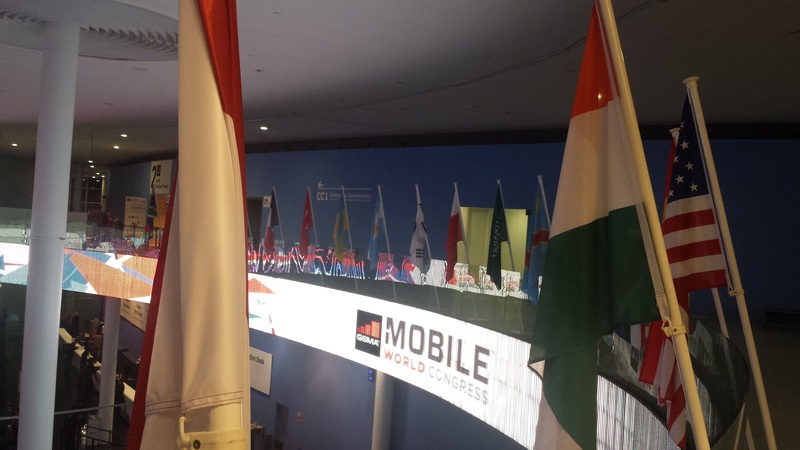 Despite the significant Israeli presence, the MWC decided not to highlight Israel among the flags of the world at the show. At the inside courtyard at the show’s southern entrance, and outside at the northern entrance, the MWC hoisted the flags of dozens of countries. They included countries that were prominent at the show including the United States, the United Kingdom, South Korea, Japan, China, India, Germany and Spain. Yet there were also flags of countries with little presence at the show, including: Mexico; Ukraine; and Argentina. Remarkably, the flags of Saudi Arabia and Iran were also flying high in the air. But Israel’s flag was absent. A little over 500 years ago, Spain expelled its 200,000 Jews, but recently, the country made efforts to mend ties with Jews. It finally recognized Israel as the homeland of the Jewish people in 2011, and in 2012, the country stated that it would grant Spanish citizenship to those Jews who could demonstrate that they were descended from Jews expelled in 1492. The same day that the Barcelona conference began, another city in Spain announced that it would not participate in any BDS (boycott, divestment and sanctions) against Israel. 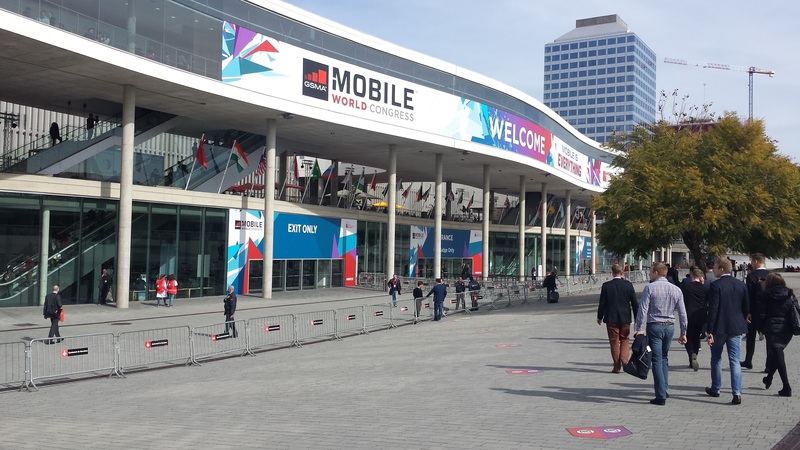 For its part, the Mobile World Congress clearly did not participate in any BDS activity in allowing over 140 Israeli companies to present at the show. They did not block over 1000 Israelis from attending the event. Yet why did the blue and white Israeli flag with the Star of David get snubbed? MWC published an article that was broadly distributed on the first day of the show about a study completed by the large Spanish Telecom phone company, Telefonica, about the state of the digital ecosystem among 34 countries. Among the findings highlighted in the MWC article, was that Saudi Arabia was, by far, the country with the worst digital ecosystem relative to the country’s wealth. Yet MWC chose to fly the flag of the Kingdom of Saudi Arabia (KSA) outside the convention center, alongside the Spanish flag. Country flags outside northern entrance of Barcelona convention center. KSA flag on right between South Korea and Spain. What do you think could have been the thinking of flying the flag of Saudi Arabia, but not flying the Israeli flag? The argument that using the “1967 lines” as the basis for the borders of Israel and Palestine in a two-state solution is flawed at the outset. “Land swaps” simply underscore that absurdity of the argument. Obama’s second statement moved away from his comments about “1967 lines.” By stating that the border would be arrived at through mutual negotiations and look “different than the one that existed on June 4, 1967,” Obama made the comment about the 1967 lines moot. If the parties agree to an entirely new construct for borders, than that would be acceptable too. There is no reason to even mention the “1967 lines” or land swaps. But the left-wing group J Street was much more aggressive than Obama on the contours of Israel, and lobbied the US government about the 1967 lines and land swaps. 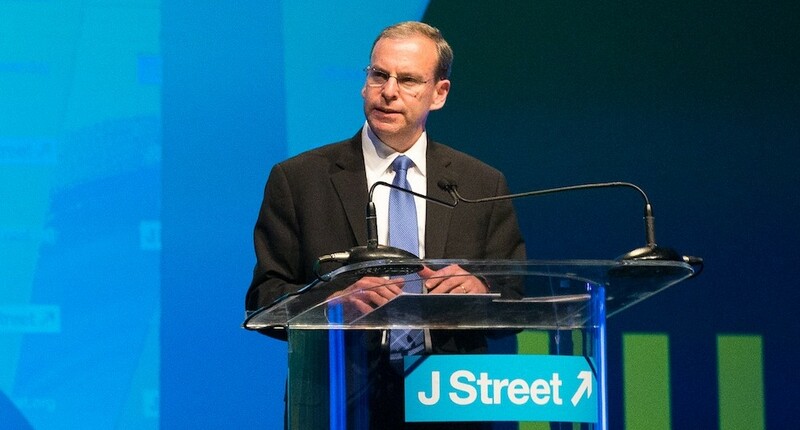 “J Street is deeply concerned that the pre-1967 Green Line separating Israel and the occupied territory is being effectively erased both on the ground and in the consciousness of Israelis, Jews and others around the world. The resolution of the Israeli-Palestinian conflict will require establishing a border through negotiations between Israel and the new state of Palestine – based, as noted previously, on the pre-1967 Green Line with adjustments. Until that border is negotiated, the Green Line remains the internationally-recognized separation between the state of Israel and the territory won in the Six Day War in 1967. A disturbing and growing lack of awareness of the Green Line is partially responsible for the 47-year occupation fading from the consciousness of the Israeli and international Jewish publics. Efforts to erase the Green Line from maps and from public awareness serve the interests only of those who seek to establish control over all the territory to the Jordan River. All of J Street’s arguments: negotiations based on 1967 lines; equivalent swaps of land; and using equivalent “quality” are all illogical. 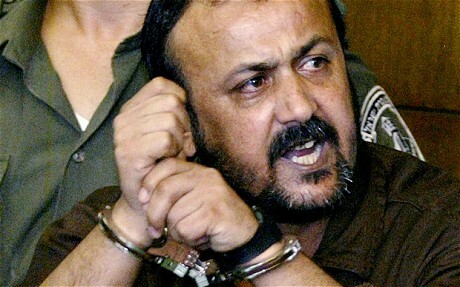 The desire to push the US government to punish Israel was demonic. There are a number of issues regarding using the 1967 lines and subsequent land swaps as envisioned by J Street. The 1967 Lines Rewards Aggression. Using the 1967 lines as a starting point for negotiations rewards aggression. When Israel declared itself as an independent state in 1948, it was immediately attacked by five Arab armies from Egypt; Jordan; Syria; Lebanon; and Iraq. The 1967 lines were the Armistice Lines where the warring parties stopped fighting in 1949. Imagine that in 1948-9, Egypt conquered the entire southern part of Israel, all of the way up until Bethlehem, and Jordan conquered the entire eastern part of the country, leaving Israel as a narrow sliver of coastline from Tel Aviv to Rosh Hanikra. Consequently, imagine that it is this small state that becomes recognized by the United Nations in 1949, within Armistice Lines with Egypt and Jordan. Further consider that history played out precisely as it did: in 1967 the Arab armies once again threatened to destroy Israel, so Israel pre-emptively attacked Egypt and Syria and then Jordan attacked Israel. Egypt and Jordan lost all of the territory that it took from the 1922 Palestine Mandate for a Jewish homeland in the war. How would the world react? Would the world demand that Israel needs to return to a stub of a state and give Egypt and Jordan all of the land past the 1949 Armistice Lines? Even if Egypt and Jordan ultimately relinquished their claims to the lands they seized in favor of Palestinian Arabs, would those borders somehow be considered the appropriate borders for Israel and Palestine? Pushing Israel to accept the borders that the UN endorsed in 1949 would be rewarding the five Arab armies assault on Israel. The areas within the Jewish homeland mandate that are some refer to as “Arab land,” are simply lands that were seized by Arab aggression. Using such 1967 lines/ the 1949 Armistice Lines, is a direct reward to an aggressive war to destroy the Jewish State. Land Swaps Acknowledges that 1967 Lines are not Borders. Those parties that suggest that land swaps between Israel and a future Palestinian state, inherently admit that the 1967 lines have no merit. How could anyone suggest that a sovereign nation (Israel) give up some of its own land? How could a country annex land of another country (Palestine)? It can do so, if the two parties both acknowledge that the lines are not borders. While J Street urges Israel and Jewish groups to “know its boundaries,” the actual suggestion to engage in land swaps undermines the J Street argument that the 1967 lines have any real significance. If there is any doubt, the Armistice Agreements that created those specific Armistice Lines stated those lines were not borders. Land Swaps Undermine a call to limit Jewish “Settlements.” J Street and other groups that suggest that no Jewish Israelis should be allowed to live east of the Green Line (EGL/ West Bank), undermine their own argument when they suggest that there should be land swaps. If Israel should give over some of its land west of the Green Line to a future Palestinian State, that would mean that Jews should also be prohibited from living in those border areas in Israel too. Swapping land means that those Jewish communities in Israel would be considered a similar threat towards peace as the “settlements” in EGL/West Bank. If people really believe that Jewish communities threaten the viability of a Palestinian State, the same parties that argue for banning Israelis in EGL/West Bank should argue similarly argue against Jewish communities in Israel that threaten the ability to effectively conclude land swaps. That suggestion is clearly absurd. Therefore if it is not a problem for Jews to move into communities that are west of the Green Line, than it is not an issue for Jews to move east of the Green Line. Phantom Size. The suggestion that the exact number of square kilometers of the “West Bank” and Gaza that were created by the 1949 Armistice Lines is somehow a sacred amount is ridiculuous. As described above, the “West Bank” was an artifice created by a war of Arab aggression against Israel in 1948. There is/was nothing inherently special about where the warring parties stopped fighting. It is therefore non-sensical to suggest that the “equivalent quantity”of land be exchanged between the parties. The Armistice Lines were arbitrary, non-permanent lines, and therefore the amount of land on either side of those lines are also arbitrary. Further Absurdity of “Equivalent Quality.” J Street outdid itself in promoting a concept that went beyond the illogical suggestions of the 1967 lines land swaps. It proposed that the land swaps between Israel and the Palestinian Authority should be based on land of “equivalent quality.” In other words, J Street did not only propose that there be a swap of 50 square km on one side of the Green Line for 50km on the other side. J Street introduced the concept of “quality.” The far left-wing group argued that desert land would not be equivalent to an aquifer. Holy land would not be equivalent to non-Holy land. What is the conversion factor between the different types of land? Who knows! Just add some subjective requirements to simplify negotiations that are already going nowhere for decades and are illogical at the start. That should speed things up! When people pick on Obama for being anti-Israel, they should consider his rather moderate stance compared to the advice he receives from J Street. But fear not, the UN still wants Hamas to be part of the government. “The issue of incitement runs to the heart of the current climate of tension and fear. It is essential that authorities on both sides do more to address this scourge. I am particularly concerned that some Palestinian factions continue to glorify violence and terror. Such acts only contribute to tensions and violence. 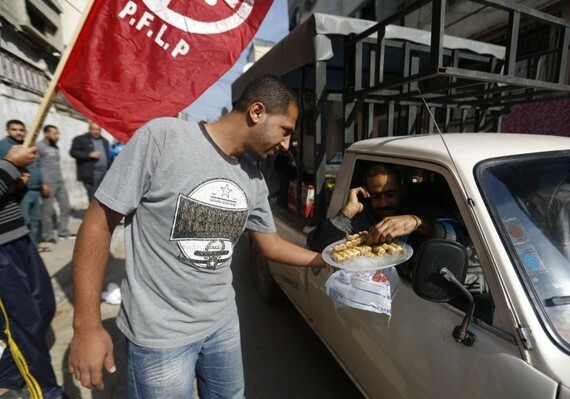 Governance reforms must also remain a central commitment for the Palestinian Authority. What might Mladenov have been describing? Consider the February 14th Palestinian cartoon calling on all men to stab and kill Israelis. Just days later, two 14-year old Palestinian Arabs stabbed two Israelis in a supermarket, killing one. Special Coordinator for the Middle East Peace Process, Nickolay Mladenov. The Mladenov comments were much more specific than Ban Ki-Moon has been about Palestinian incitement to violence and Hamas’s threats against Israel. Ban would only generally refer to incitement by both Israelis and Palestinians and never refer to Hamas at all. Perhaps a giant breakthrough at the United Nations, that it is active incitement by the Palestinians to commit murder, and not “human nature” that is causing the deaths of hundreds? Even while Mladenov more specifically placed blame on Hamas, he still urged for a Palestinian government that included the group, just as Ban has. “I strongly urge the Palestinian factions to advance genuine Palestinian unity on the basis of democracy and the PLO principles. Reconciliation is critical in order to reunite the West Bank and Gaza under a single legitimate Palestinian authority. Healing Palestinian divisions is also critical so that Palestinians can instead focus their energies on establishing a stable state as part of a negotiated two-state solution. The urgency to place Hamas into the Palestinian Authority, even while it promotes the murder of Jews, is a critical part of the UN strategy. Perhaps it is because those violent actions threaten “the fragile reconstruction process in the devastated [Gaza] Strip,” which is a key UN concern. 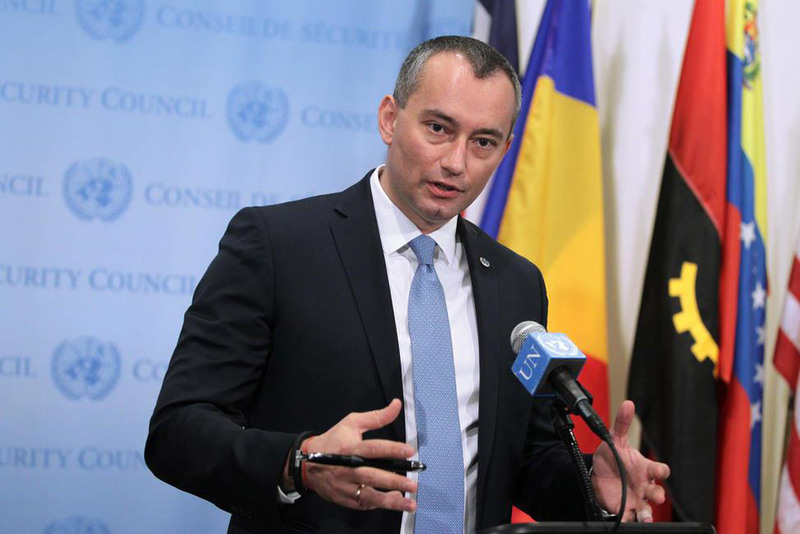 Mladenov’s comments are a baby step forward for the United Nations on Israel: words that finally call out the Palestinian incitement and threats. 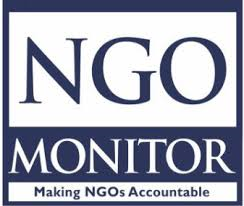 Unfortunately, the UN still urges for flawed policies to elevate the terrorist group. But do we want transparency all of the time? Do we need to actually see and read everything? When I dine at a restaurant, I come to eat. I am not one that is interested in the open kitchen floor plan and seeing how the meal is prepared. If I want a lesson in food preparation, there are enough television shows on cable TV or the Web to educate me. The only thing that I want to see from the kitchen is someone donning an oven mitt and pulling out a fresh delicious dish to consume. My appetite is actually compromised by seeing the stained aprons and sweating staff chopping and slicing my meal. I am not alone. The world has come to recognize that too much transparency can be a negative experience. A simple health inspector grade on the front window of the restaurant is often more than enough for the masses. One of the less remarkable channels on cable is C-SPAN, the Cable-Satellite Public Access Network. The channel airs hours of “riveting” sessions of the US government at work, including hours and hours of members of the House of Representatives speaking so their mothers at home can see them on TV. But, I imagine, even their parents tune off after five minutes to return to a rerun of Shark Tank. We really don’t want to see that much. When presidential hopeful Jeb Bush released 33 years of tax returns, the public was left with a feeling that the man had nothing to hide. The public hoped (and assumed) that someone in the media (or his political opponents) would actually dig through the materials and summarize it in two brief paragraphs. We really don’t want to read that much. Today’s data-overloaded public simply wants to be told whether to swipe right or swipe left. It does not want the full brunt of exposure to such much raw information. Psst, Hillary. No one cares about your 60,000 emails. They only care that you opted to delete half of them. The simple way of being transparent is by being transparent. The best way to show that you have something to hide is by not only hiding information, but by deleting and destroying it. Mission accomplished. Airplanes have flight recorders known as “black boxes” which capture flight details and conversations in the cockpit. This data is useful should there ever be an accident, so investigators can uncover what transpired to cause the incident. Should the plane land safely, the data on the recorders can be erased and reused for the next flight. Pilots are not allowed to tamper with those flight recorders. Should an accident occur, a pilot would be unauthorized to retrieve the black box and remove or tamper with any information. Similarly, if people die from food poisoning in a restaurant, the letter grade on the front window would be immediately ignored. The board of health would demand complete access to the kitchen – whether in an open floor plan or not. When things are calm, transparency can be overwhelming. When things go bad, transparency is essential. It would be bad enough if Hillary Clinton ran her own email service and deleted half of the emails – and nothing bad ever happened on her watch. 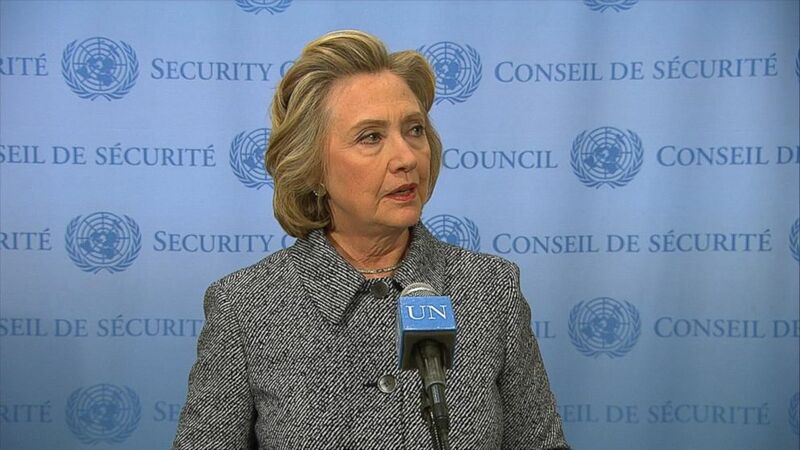 But the killing of Americans in Libya led to investigations of her department. The amount of money that poured into the Clinton Foundation from foreign governments while she was in office led to conflicts of interest every day. For Hillary to claim that other Secretaries of State may have used private email accounts is a flawed red herring. They did not delete and destroy tens of thousands of emails. They did not have spouses who were taking millions of dollars from foreign governments. They did not have a foreign embassy get overrun. Hillary Clinton’s email scandal will forever taint her as untrustworthy. Whether she ultimately goes to prison or the White House is uncertain. But the stain on her reputation is permanent and clear. The only thing that is transparent for Hillary, is her commitment to do anything to get elected. This morning, I woke to a sore throat, a broken boiler, and an outside temperature of negative two degrees Fahrenheit. Of course, I immediately went for the Advil, but hot chocolate has the benefit of making my whole body feel better, not just my throat. I slithered to the kitchen. I do not have a consistent favorite type of hot chocolate. Oftentimes, I use a base of Hershey’s powdered mix to which I add some Valrhona or perhaps some Trader Joe’s Peppermint. This morning? Sick equals peppermint, right? With my dairy sink pipes frozen, I was still able to use the boiling water from the Sabbath hot water pot left over from the day before. Thank God. I used a small spoon to mix the steaming hot water with the various mixes. The hot water did a good job of breaking down the powder, but I had a hard time with some small peppermint balls that floated on top. I spun the spoon clockwise. Counter-clockwise. I pushed the stubborn balls down towards the bottom of the mug. Yet still a few minty clumps remained. Determined, I took the bottom side of my spoon and mashed the remaining puffs onto the side of the mug. They spread there like a bug on a speedy windshield. I scraped the sides into the rest of my drink. 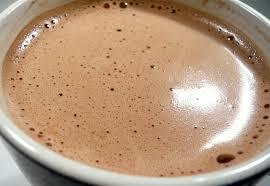 Fortunately, the water had not yet gone cold in my minute battle, and I was able to enjoy my warm cocoa. However, as it was not quite so hot anymore, I downed the mug rather quickly. It was delicious. As I finished, I looked at the bottom of the mug to find peppermint sediment peppered on the surface. They survived my early onslaught. I grabbed the spoon to scoop them up, and enjoyed the burst of peppermint to cap my morning drink. The western world is deeply engaged in discussions about immigrants and refugees. Part of those conversations are about security, but another is related to society’s ability to absorb the thousands of new arrivals. Will they fit in? Will they blend in? What does their arrival mean for the nature of society going forward? There are some people that are purists and believe that a culture stays fixed forever. They would prefer that their country, say Hungary, remains the same year-in and year-out. The only foreign languages they would hear would be tourists who come for a few days, spend some money, and then leave. No signs would ever be in a language other than Hungarian. The people will all “look” Hungarian and “act” Hungarian. The approach in France may be different. There, people may welcome immigrants with different backgrounds, but on the proposition that all of these foreigners will melt into French society. It is permissible to be Algerian upon arrival, but the expectation is to become French over time. The United States has yet a different approach. It very much supports the idea of a melting pot, and has created an educational system that requires that different parts of society must interact with all others. Yet the country is also fine with the patchwork of distinct cultural identities. Chinatowns and Little Italy’s dot America, even while most Chinese and Italians blend into society at large. I understand that some people want to have the exact same chocolate without any variety every single day. I think it’s a bit boring, but I’m not mixing your mug. I also appreciate that some people are happy to incorporate a few flavors into their routines. They diligently try to make sure that everything is mixed so completely that all that is left is a singular blended society. No outliers. As I chase the foreign floaties in my hot chocolate, I sometimes think of myself as one of those people. But there are times when I am reminded about those stubborn clumps that refuse to blend in. It may not have been part of the initial overall plan, but I am happy that some have remained distinct, as they were, when they folded into the mix. A famous dim-witted philosopher once said that “life is like a box of chocolates; you never know what you’re going to get.” Maybe the corollary is that societies are like cups of hot chocolate; some are more blended than others. 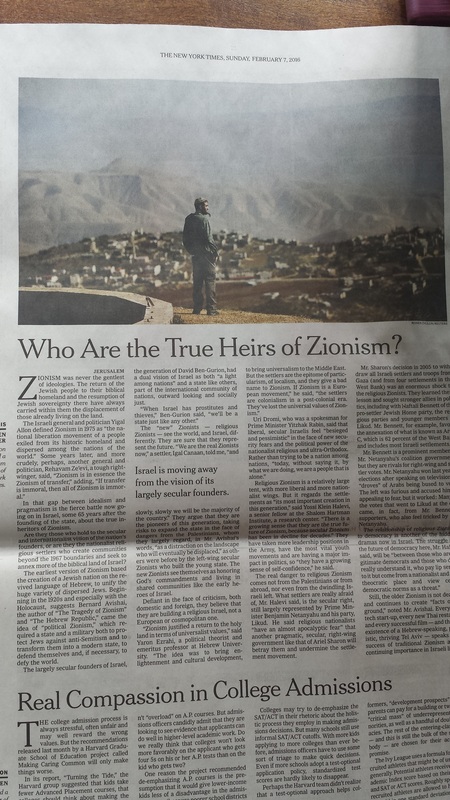 The New York Times is one of the country’s most venerated and most liberal newspapers. Its articles and editorials often use a pluralistic and “progressive” approach in covering events. Yet, for some reason, year after year, the paper refuses to highlight the terrorism running rampant in Africa. Boko Haram. Al Shabab. Ansar Dine. It is not a short list, and the attacks are not inconsequential. This week, three young girls blew themselves up in Nigeria killing scores. 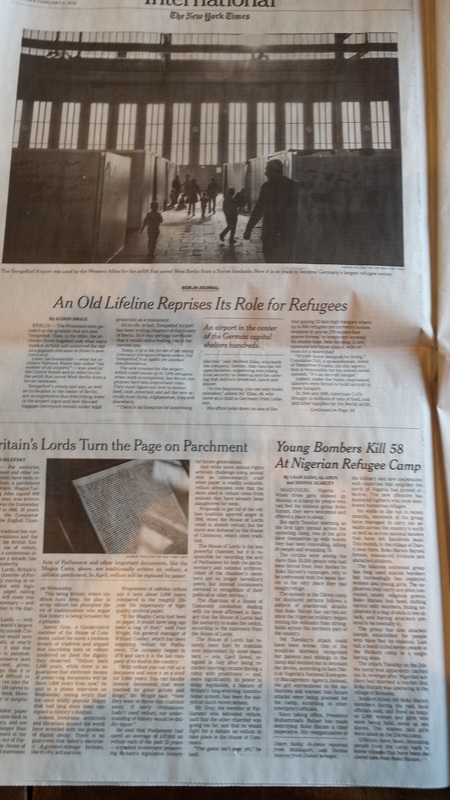 Yet the New York Times posted the news back on page A4. At the bottom of the page. With no picture. 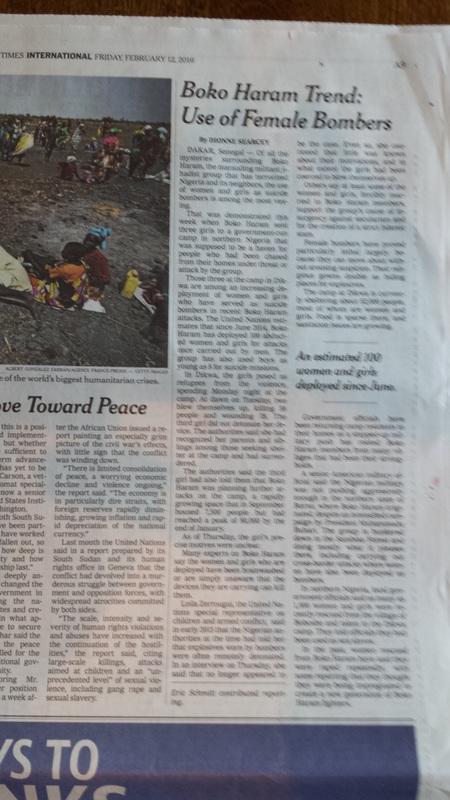 Would the Times ever consider showing such poor coverage of terrorism in Paris? Never. The murder of a dozen people there received front page attention. If one chose to be generous to the news organization and argue that there wasn’t enough time to cover the story in Nigeria properly… what about the coverage on the following day? The Times continued to give the story poor coverage. It buried the story in the middle of the paper and again did not use any photographs. Well, let’s try to find another excuse for the Times – just for fun. Maybe the Times doesn’t cover the murders in Africa because it is a war zone with constant attacks, unlike Paris which is just a peaceful European city. 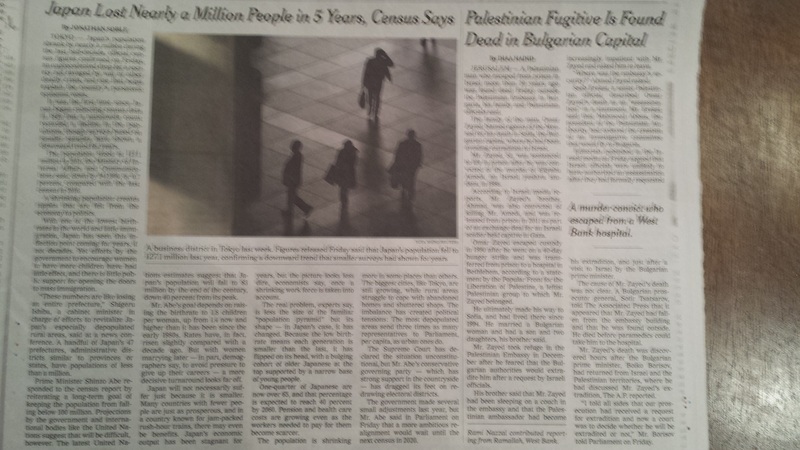 Then how does one explain the constant front page coverage of suffering Palestinians? In the summer of 2014, the Times put pictures of injured Palestinians on the front page on July 11, 14, 17, 21, 22, 24 and 29. Quite a stretch. This is the long sad history of the Times. African Lives Don’t matter. Even during Black History Month.